Emerald Expositions Acquires Leading Design Tradeshows - Berkery, Noyes & Co., LLC. 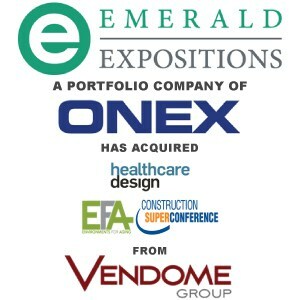 SAN JUAN CAPISTRANO, CA, March 3, 2015 – Emerald Expositions, LLC (“Emerald”) announced today that it has acquired several leading brands in the healthcare and senior living design market from Vendome Group, LLC. Healthcare Design Conference and Expo is the industry’s best attended and most respected tradeshow/conference primarily focused on evidence-based design for healthcare facilities. In addition to the annual tradeshow and conference, the brand has a complementary and leading magazine, Healthcare Design Magazine, various education and sponsored events, and an online presence that together engage the industry all year round. The business benefits from close relationships with The Center for Health Design® and the American Institute of Architects, in addition to several other association partners. Environments For Aging (EFA) is a complementary niche within the broader healthcare vertical, focused on creating functional and attractive living environments that meet the needs of the aging population. The brand includes a tradeshow/conference, magazine, and education and sponsored events. Construction SuperConference (CSC) is a leading event for lawyers providing advice in commercial construction markets. These three brands are based in Cleveland, OH and the team is led by Ron Lowy. Ron will report to Joe Randall, EVP Design, Healthcare, Antiques & Military. The financial terms of the transaction were not disclosed. 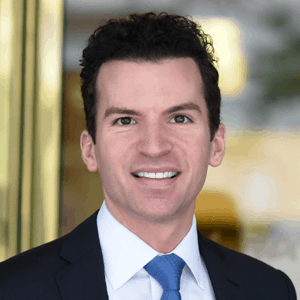 Investment Bank, Berkery Noyes & Co, LLC, represented Vendome in the transaction. Emerald Expositions is a leading operator of large business-to-business tradeshows in the United States, producing more than 80 tradeshows and conference events per year, connecting hundreds of thousands of buyers and sellers across ten diversified end-markets, including Gift, Home and General Merchandise; Sports & Apparel; Design; Jewelry, Luxury, and Antiques; eCommerce; Photography; Healthcare; Military; and Food. Emerald is headquartered in San Juan Capistrano, CA. The company’s shows are typically the most prominent and important for exhibitors and attendees within their various industries.